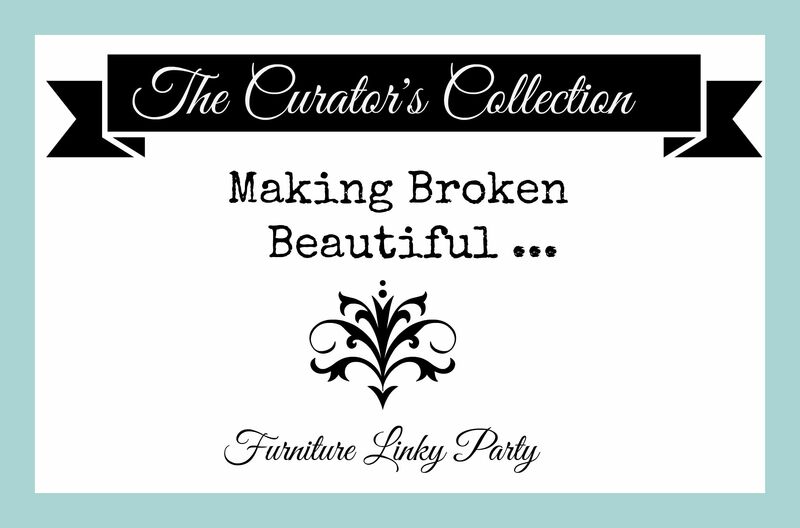 Welcome to the first Making Broken Beautiful of 2016! I know this is going to be a fantastic year filled with many new DIY adventures! Hopefully this week’s party will be the kick in the pants I need to hop back into the swing of things! Let’s get to last week’s inspiration! I have to say, Keri from Repurposing Junkie has gone and inspired me to finally paint my little settee! 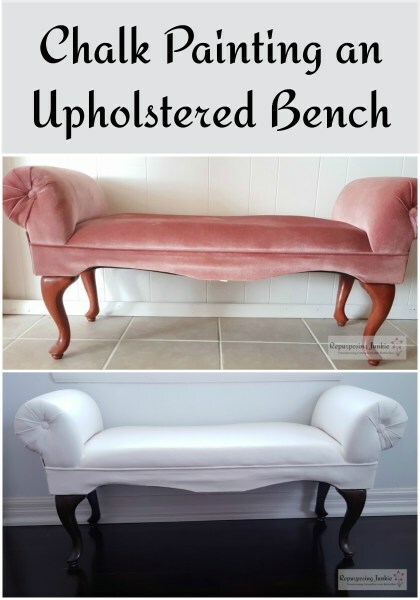 She painted the fabric on this bench and the results are fabulous! Now I’m sold on actually trying this! Especially since she was painting on velvet and got this result! Go check out her site for the whole “how to” ! Sherri from August Blues Slipcover Studio has completely inspired me to dig out my sewing machine and try my hand at another slipcover! The one detail that makes her work stand out is her attention to details and finding the “personality” of the piece when designing a slipcover. I fell in love with this slipcover at first sight! You should check out her site to see the beautiful work she does! The backs of her pieces are my favorite part! Drool worthy? …. um … Yah! 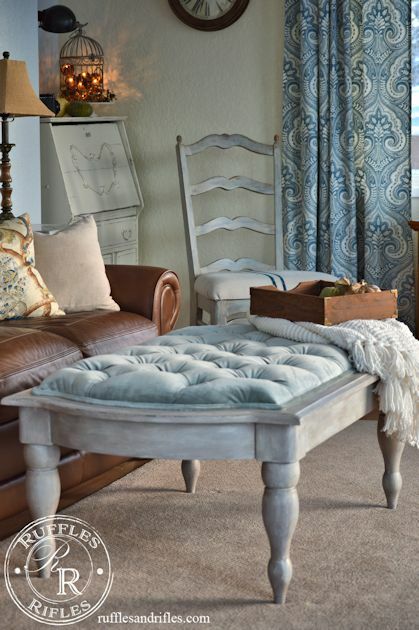 Another stunner was this coffee table turned tufted ottoman by Cheryl from Of Ruffles & Rifles. She researched how to execute diamond tufting and I think she did an amazing job of it herself! 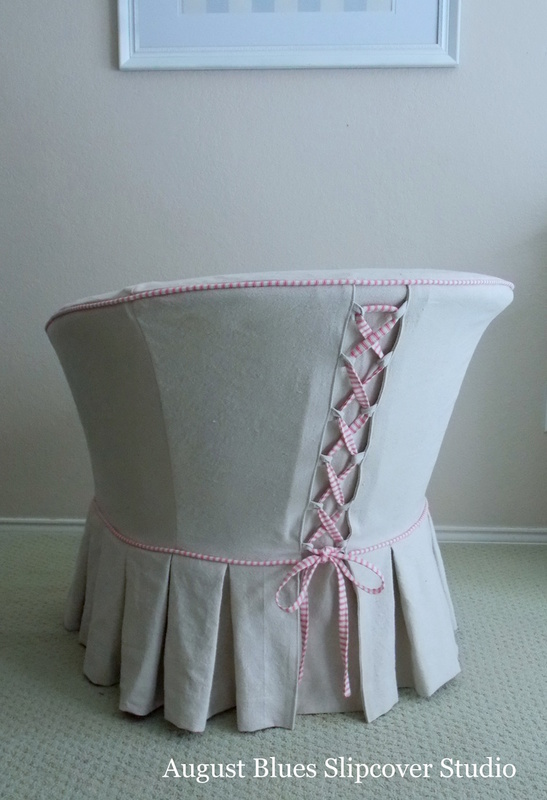 The shape, color, and fabric she chose to makeover the table with are perfect! You really must go take a peek at the before and after pics! Lastly, I thought this project for turning old porcelain plates into frames for heirloom family portraits was brilliant! Thank you to all who inspire each week! Let’s get this first party of the year started shall we? Don’t forget to visit other links and show some support to your fellow linkers :) Forge some new friendships this year! All the features are awesome!! 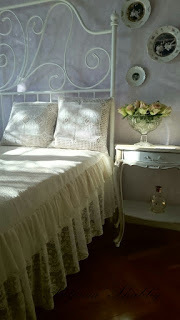 I am trying this year Keri’s trick with chalkpaint for sure! Make sure you share it with me if you do! I hope you have a great weekend! That tufted coffee table is gorgeous! I know right? If I could buy it I would! Thank you for joining in my friend! Thank you Terry for hosting. I love seeing all the wonderful transformations. Thank you Katherine! Gad you could come! I hope you have a great weekend! As always, Terry, thank you so much for hosting this furniture party. And, thank you for the feature! :-) Blessings! Thanks a lot Terry for featured my shabby frames. You are so welcome Biljana! Thank you for sharing! 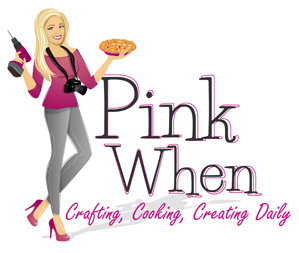 So glad I found your blog and this link party! Thanks for hosting! I wish I lived closer to all you talented people! My home would be filled with all your great works! … of course, then I would be broke! ha ha! I hope you have a great weekend Cynthia! Thank you for your inspiration each week! It really is isn’t it? :) I wish I could sew like that! Thank you for sharing some inspiration Kandice! I hope you have a great weekend! Thank you Vanessa! You are always welcome! I hope you have a great weekend! If I had your talent I would slipcover my whole house! Thank you for sharing my friend! Hope you have a great weekend! Hi Terry, looking forward to partying with you again in 2016! That laced back slipcover is absolutely gorgeous. So thrilled to have you Marie! Joining in the DIY Sunday Show case faithfully too! Thank you for hosting! ….I think I need to order one of these slip covers from sherri! Terry, that stinks that one of your kiddos was sick on Christmas Eve. I hope everyone is feeling better now! 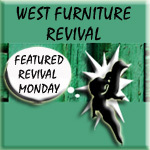 I want to say thanks again for featuring the upholstered bench and for the awesome link party!! Thank you! Thank goodness it was only the two that got sick! Thank you for sharing each week my friend!